I’m sorry, what was that you were saying about how young women are afraid to call themselves feminists these days? 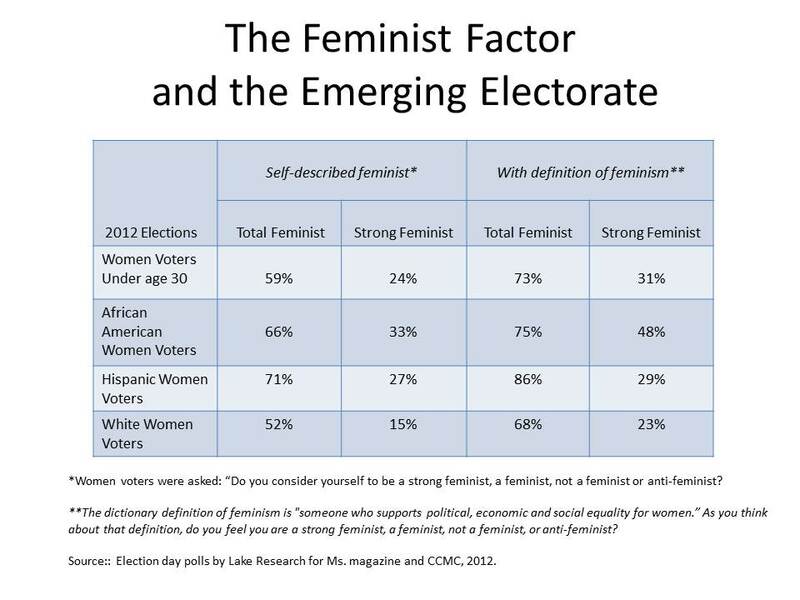 A poll commissioned by Ms. conducted just after the election found that 55 percent of women voters and 30 percent of men voters consider themselves feminists. These results are generally 9 points higher than they were in 2008, when the same question was posed to voters, and this upward trend is likely to continue given the strong identification with feminism by younger women and women of color.